Co-op remains a central part of the remixed formula. Giana Sisters: Twisted Dreams developer Black Forest Games has drastically overhauled its Early Access PC platformer Dieselstormers, announcing that it will shift away from RPG mechanics in favor of a roguelike-inspired gameplay structure. "We knew that we have a great game in the making with lots of potential," creative director Jean-Marc Haessig explained. "But we also realized that our concept wasn't able to convince players from the start. Internal play sessions as well as community feedback showed to us that Dieselstormers could be so much more." 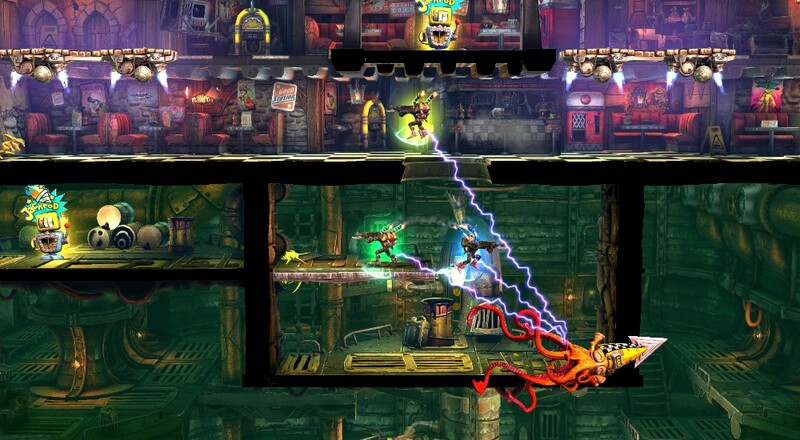 Haessig continued: "So we put our heads together, analyzed community feedback, discussed new ideas and came up with the roguelike concept for Dieselstormers. After we turned it into a prototype and played it, we knew that we had a rough diamond in our hands." Following the developer's change of course, Dieselstormers players can expect to see the game's weapon customization and perk mechanics dropped in favor of randomly-generated gameplay elements. Maps now include subterranean levels, and feature procedurally generated layouts in addition to randomly placed interactive objects. 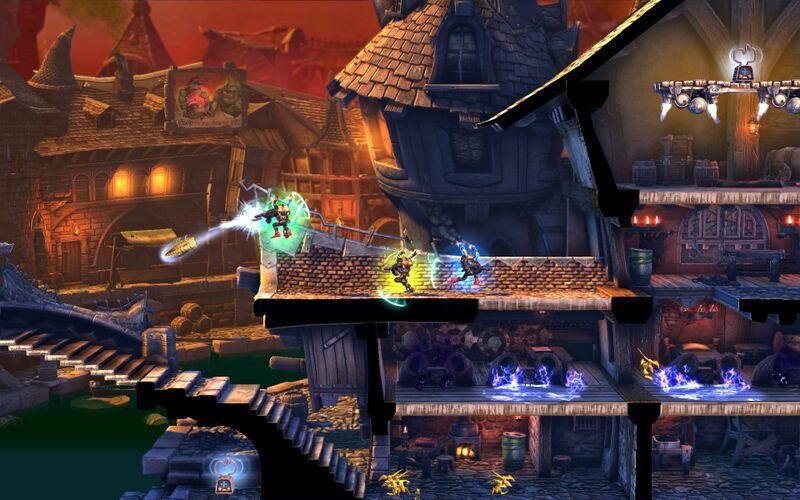 Though the game's core has changed, Dieselstormers retains its co-op element. Up to four players can team up in local and online multiplayer modes. Dieselstormers is available via Steam's Early Access program for $18.99.